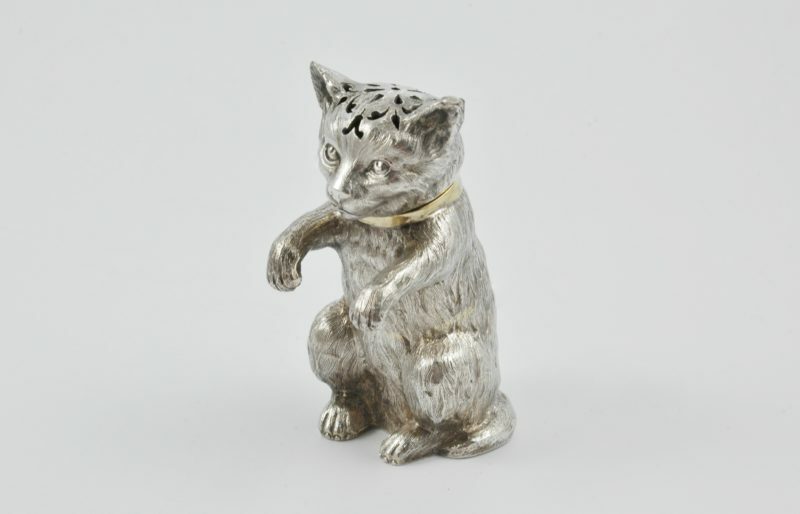 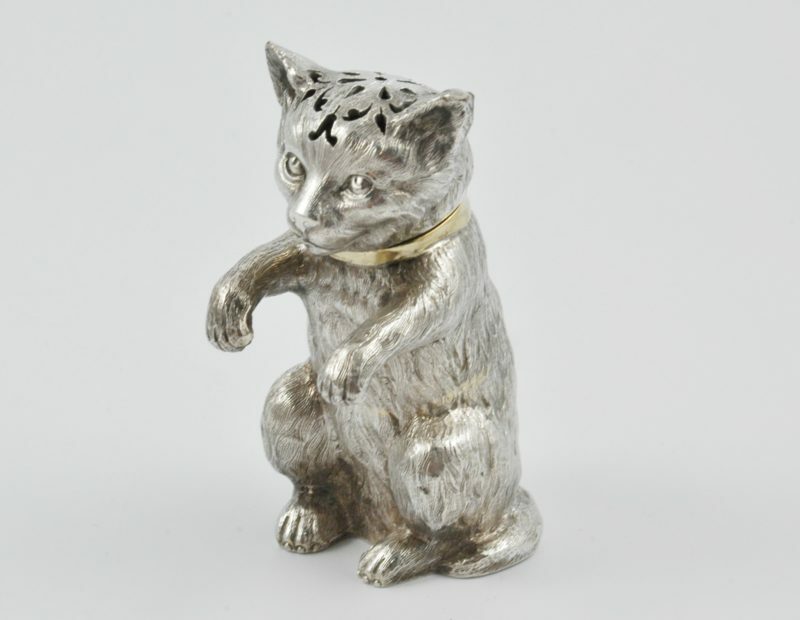 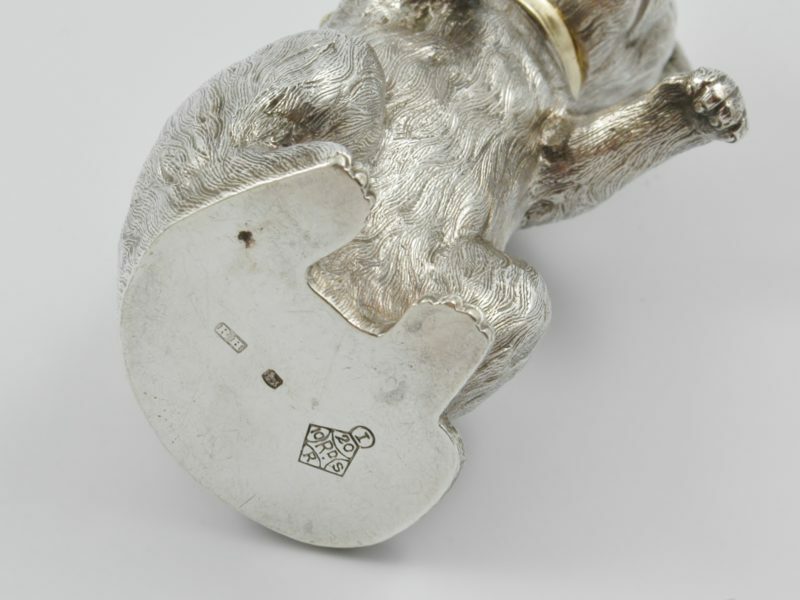 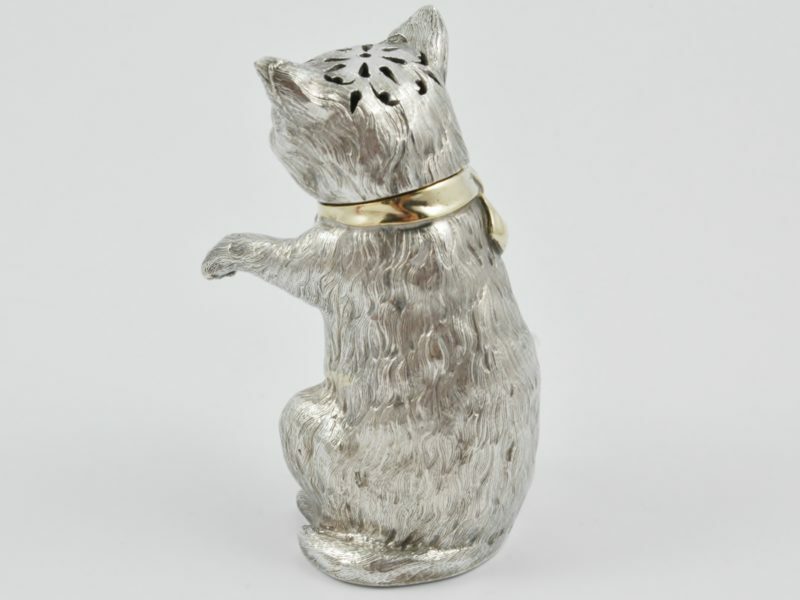 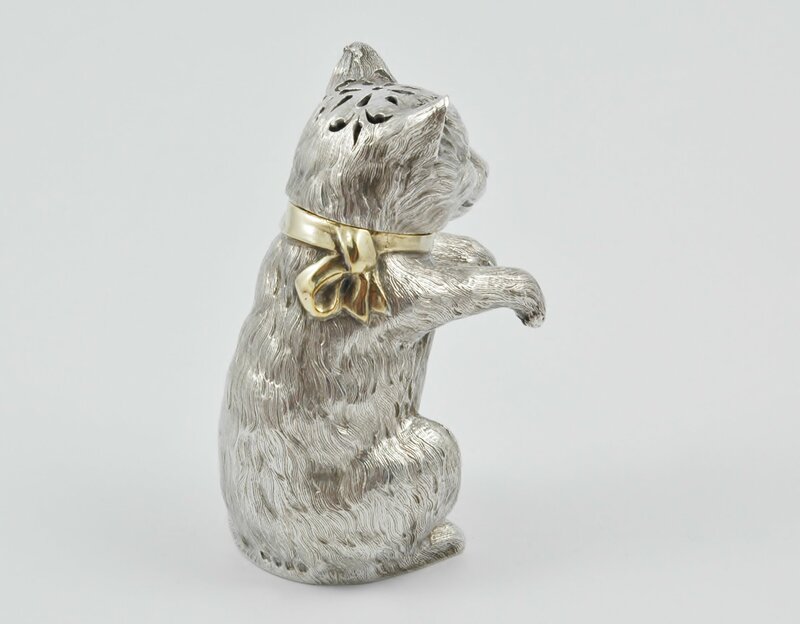 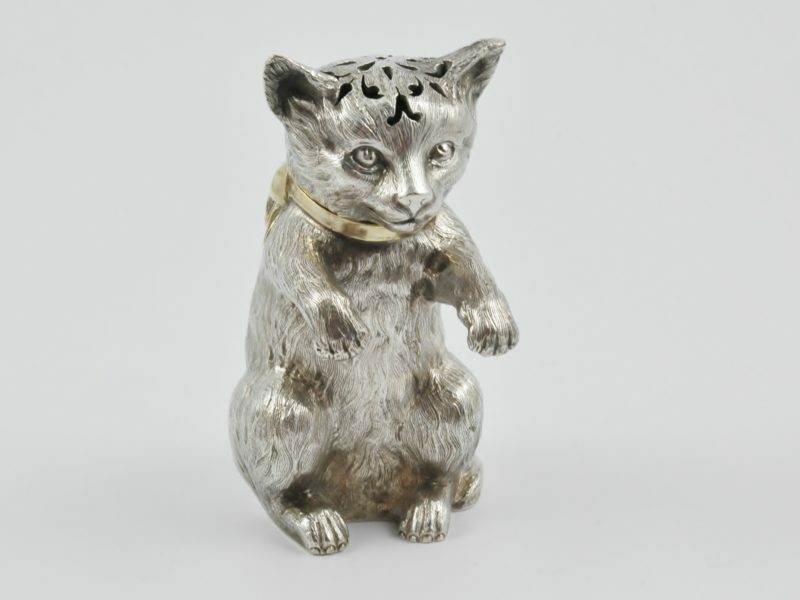 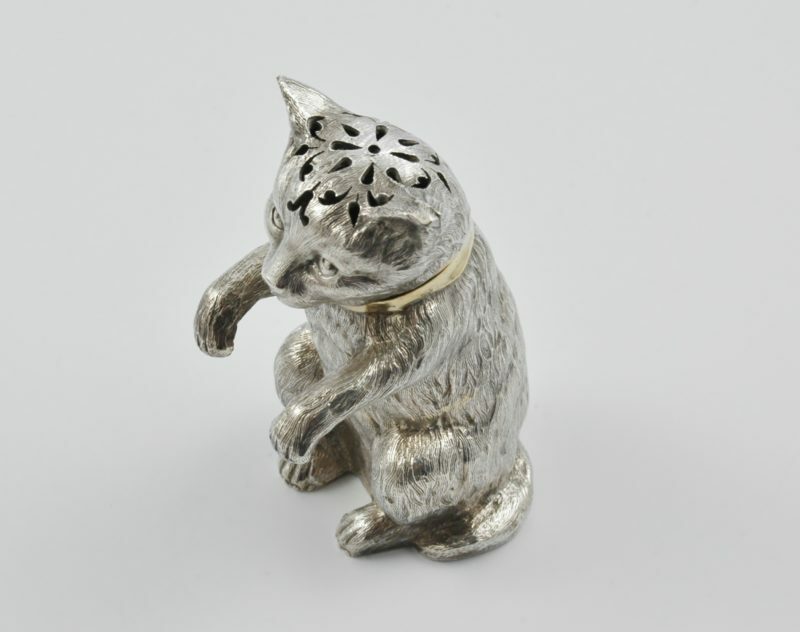 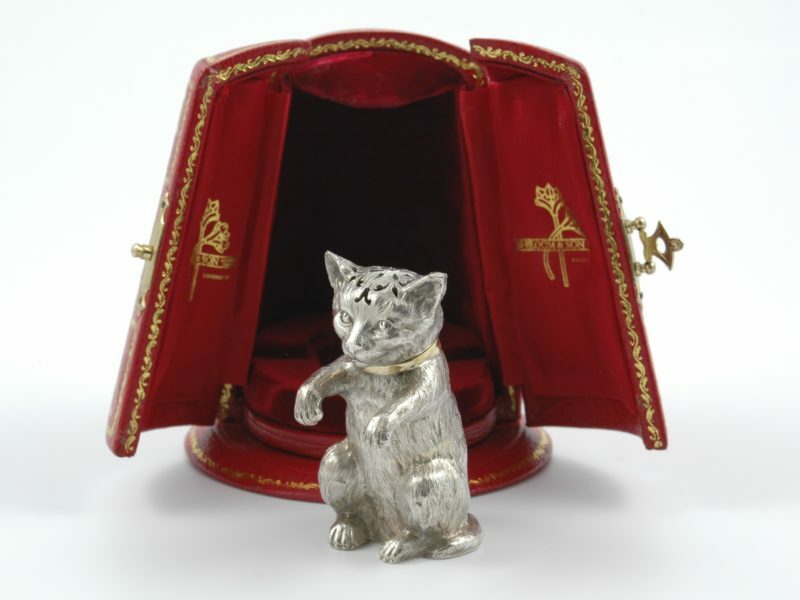 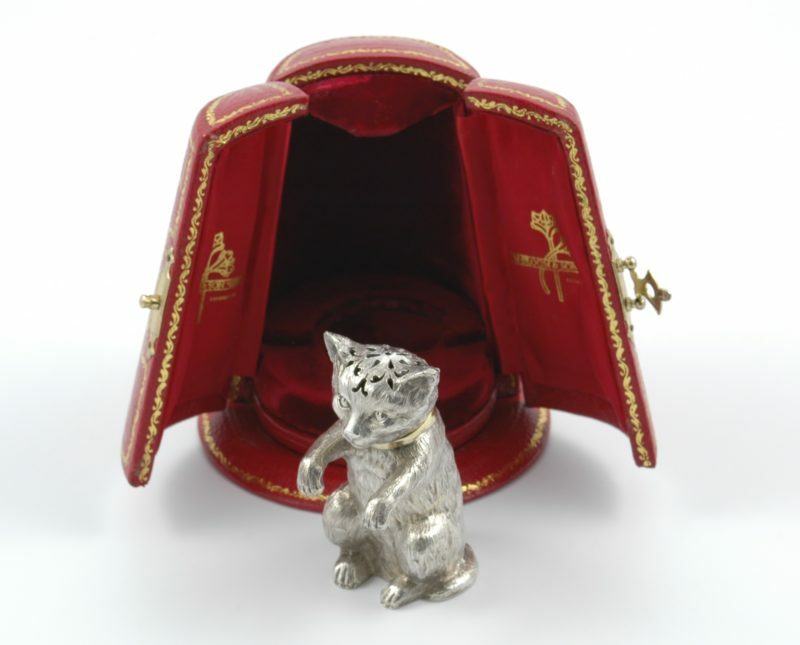 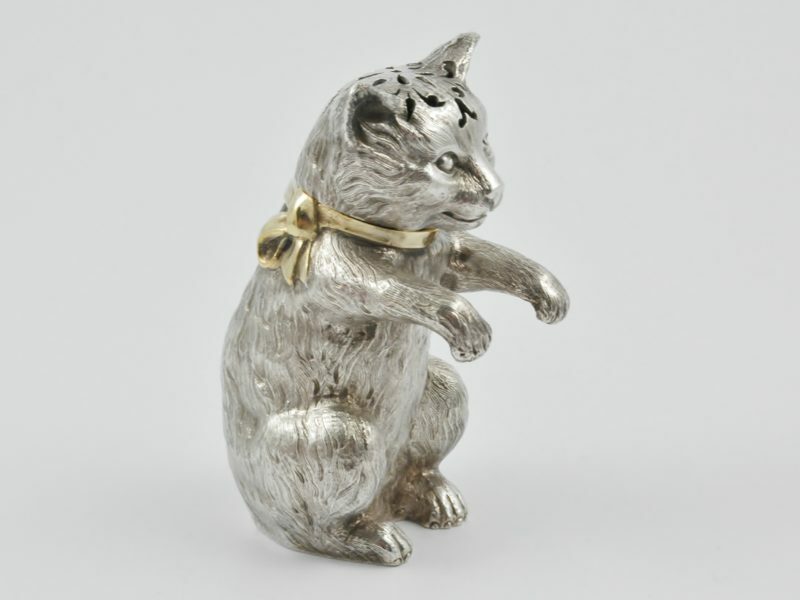 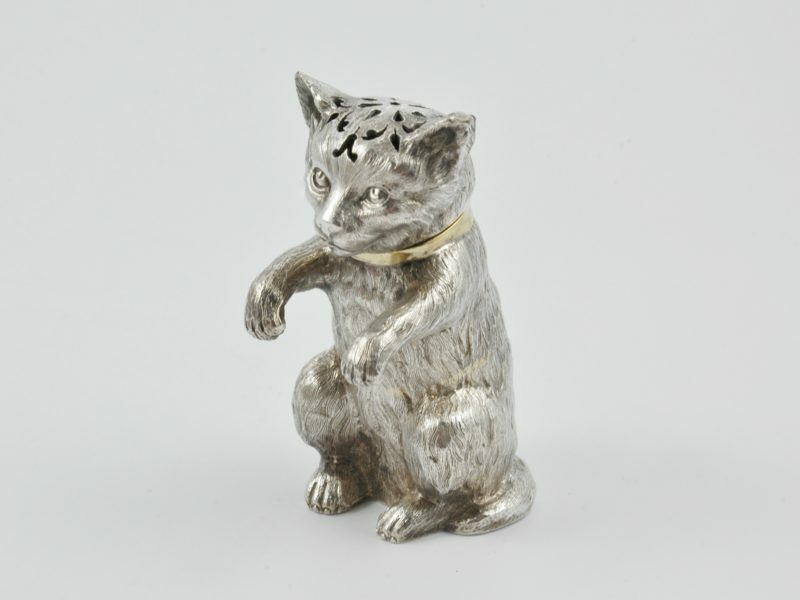 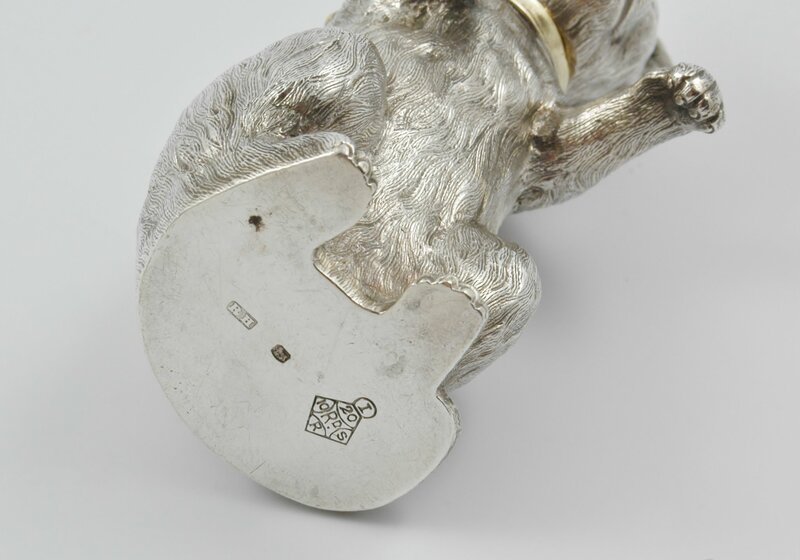 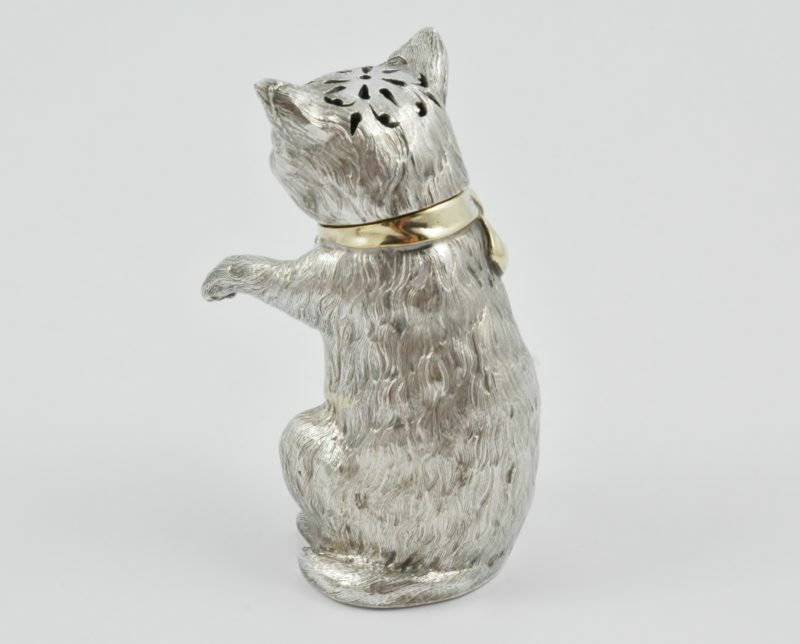 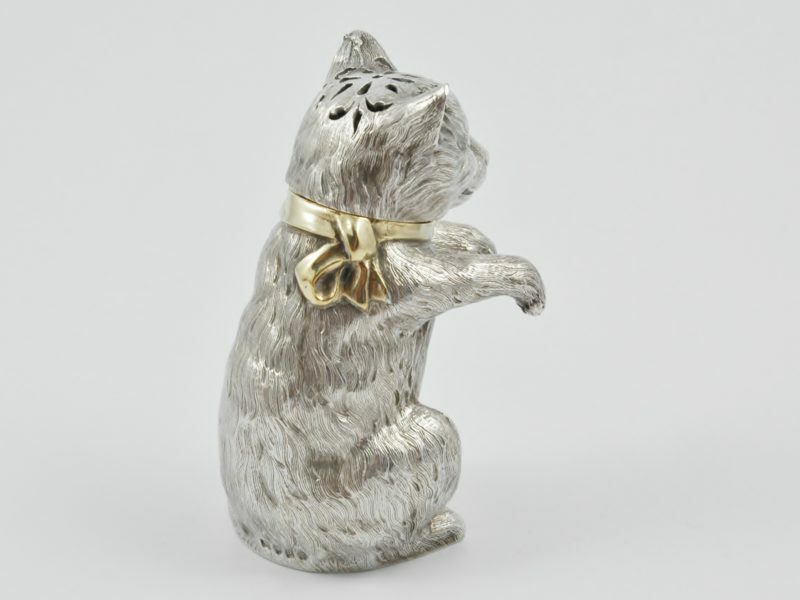 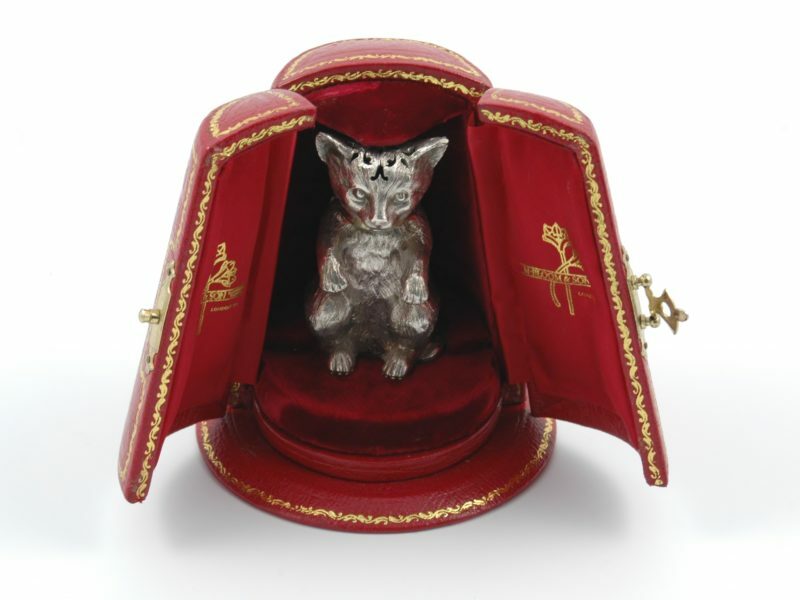 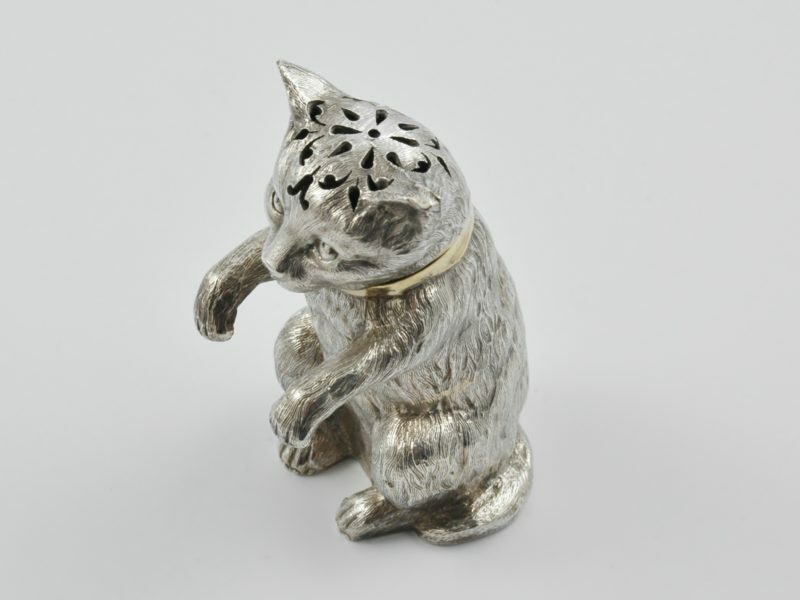 Victorian novelty parcel silver gilt cat pepper marked for London 1875 by Robert Hennell in a later presentation box by N. Bloom & Son. 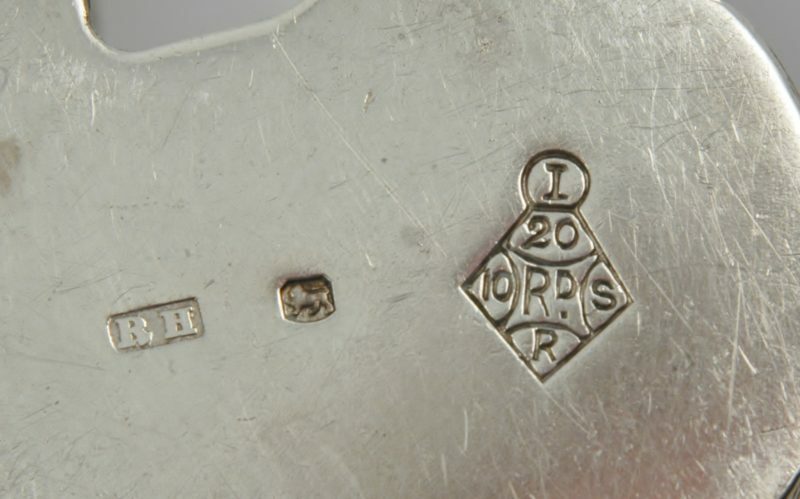 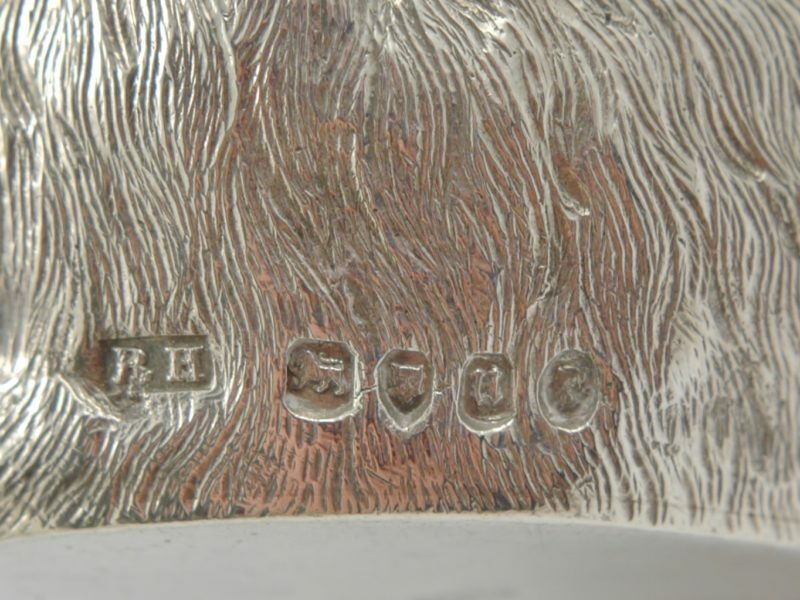 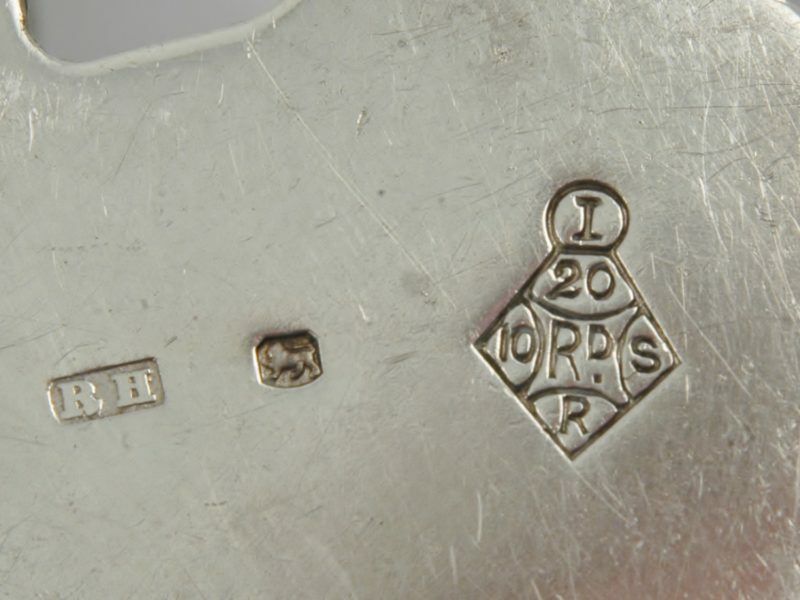 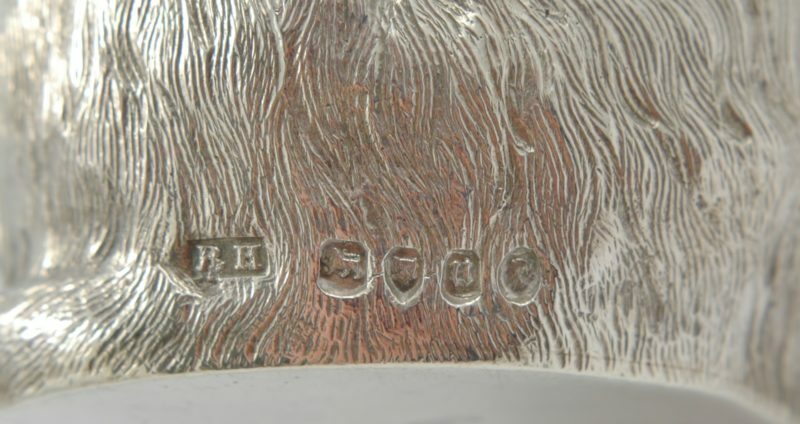 Stamped with a British registered design lozenge for 20 August 1875. Dimensions: 7.9 cm high by 3.9 cm wide by 3.5 cm deep. 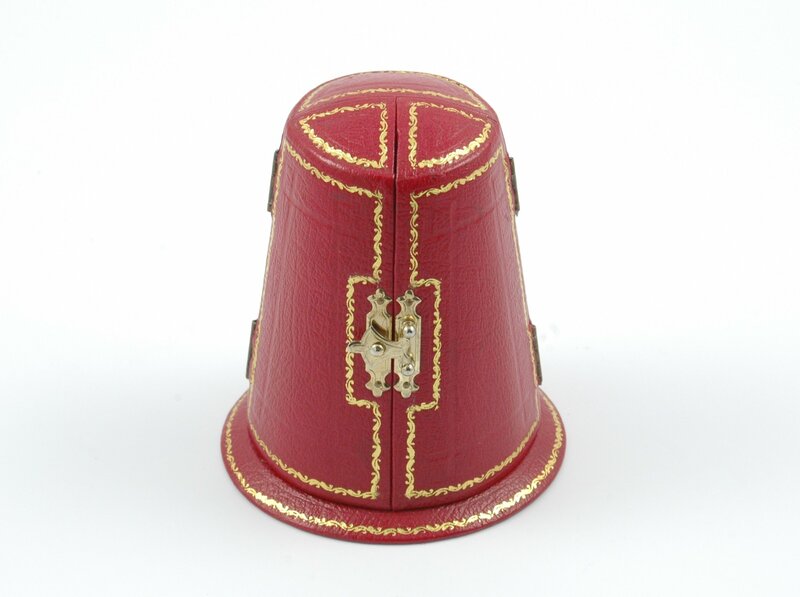 Box dimensions: 12 cm high by 10.5 cm base diameter.